The start of the year is the ideal time to declutter. You may have the house organised perfectly, but it’s easy to forget about your handbag. If you’re anything like us, then you carry around everything but the kitchen sink in your bag and there’s no time like the present to restore a little order. Not only will it stop you from losing items in that bottomless pit, but it’ll save you on the chiropractor’s bill! Start by emptying out the contents of your bag and deciding which of them are really essentials. Items that you use every day like keys, your purse and headphones can stay, but random bits like bills or accessories you might have taken off when out and about, must go. No excuses! 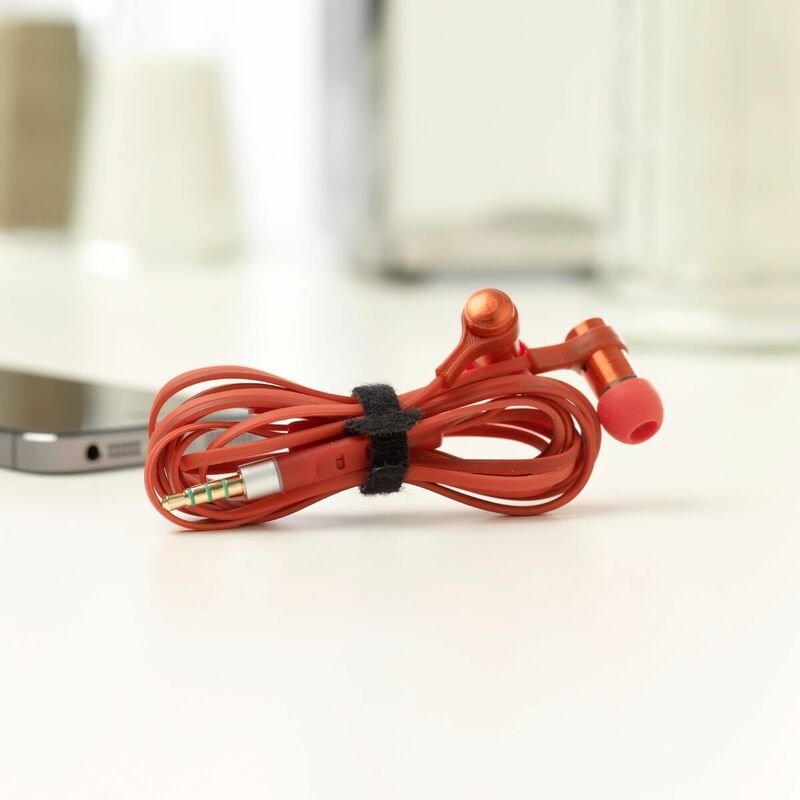 Wrap your headphones into a neat bundle with a pack of VELCRO® Brand ONE-WRAP® Ties to keep them knot-free. 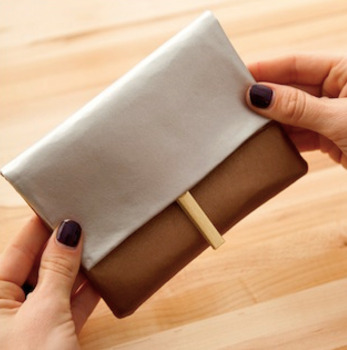 If your bag has a pocket then pop them in so they’re easy to reach when you’re on-the-go. Gone will be the minutes spent untangling the wires. If you have lots of loyalty cards, be it for your favourite coffee shop or supermarket chain, avoid the nightmare of rooting around for the correct one by attaching them together. Try punching a hole in the same position of every one, organising them in alphabetical order and keep them together with VELCRO® Brand Reusable Ties. Rather than allowing cosmetic essentials float around collecting lint in the dark depths of your bag, pop them in a slim pouch which you can easily locate when out and about. Craft your own with VELCRO® Brand by following this simple tutorial. Never risk jotting down those important details again by ensuring that your pen is always within reach. If the interior of your bag is leather or PU, attach a VELCRO® Brand Stick On Coin to the lining and the other half to your trusty pen. You can easily grab it when those eureka moments strike. Take these simple steps and you can make your day-to-day life a little bit easier. Make a point of decluttering your handbag at the end of every week and only carrying around your essential items. You can thank us later!